Sunride Surfboard Mal Pink Hibiscus. Start your surfing or add a Mini-mal to your quiver with sweet art. 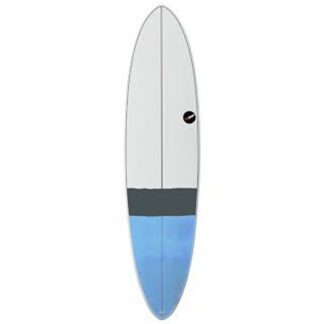 Check our range of Surfboards Online NOW! The Sunride Surfboard Mal Pink Hibiscus is part of the Sunride fun classic range. 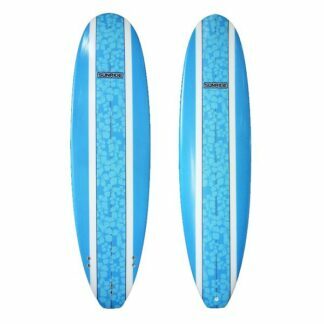 It covers board sizes from mini-mal through to longboard so there’s one perfect for you. 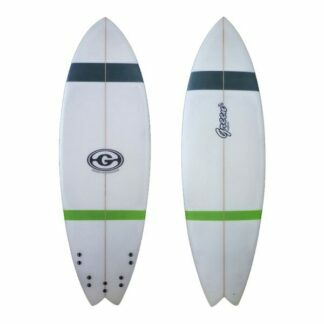 As a first fibreglass board, it’s a great choice. It will take you all the way from fun getting to your feet to classic styling moves. The Sunride design incorporates a great range of features. In the plan shape the nose is fuller so you get ease of paddling. There’s ample nose rocker so plenty of forgiveness preventing nose dives. 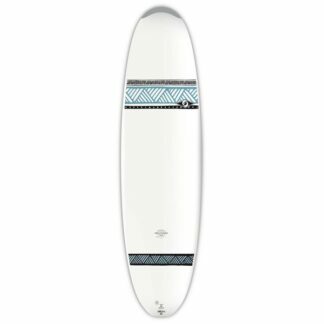 The width of the nose is carried through the middle of the board so you get great stability, great for your take off, getting to your feet and riding the wave. The rails are fuller and softly rounded so the board won’t catch as you’re pushing into those turns.